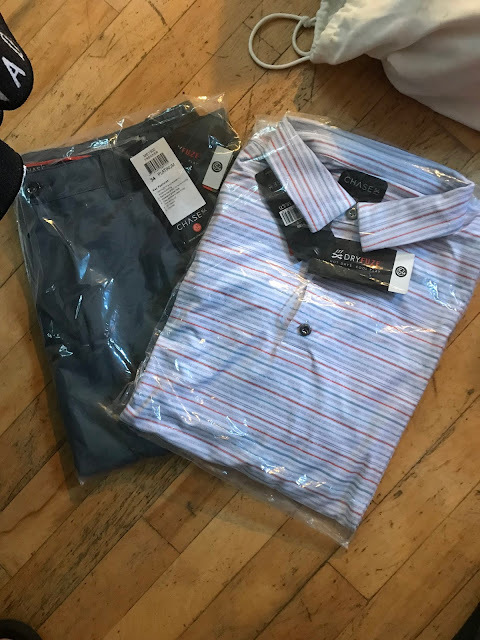 Finally got to review some golf apparel from Chase54. Most golfers might not know of this apparel especially in Canada; the company based in New York, I've only heard good things from friends stateside about their gear. 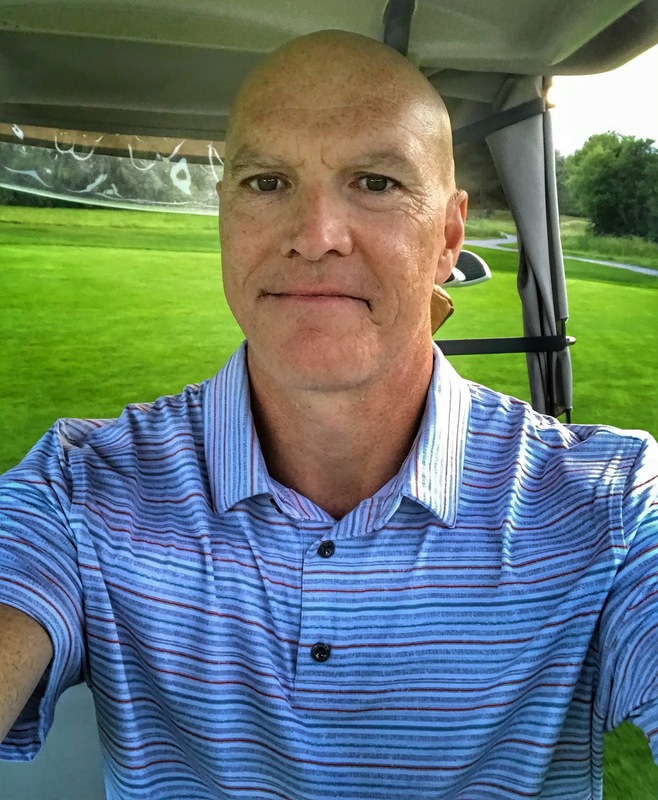 Managed to finally play Black Bear Ridge in Belleville this August and walked the course unlike most who cart(it's a hilly course and a hearty walk). The Chase54 Deuce Polo and Trekker shorts were amazingly comfortable and withstood the warm summer weather. 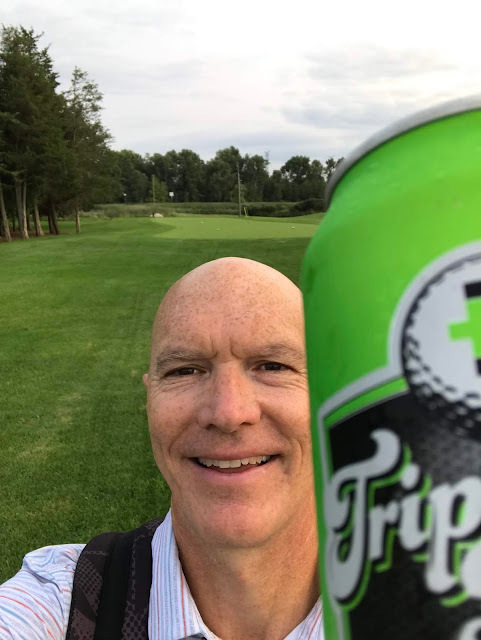 Triple Bogey beer helped as welt hydrate. Chase54's 2018 Fall Collection impresses both on the golf course and while relaxing after your round. The Deuce Polo will run you $73 USD. 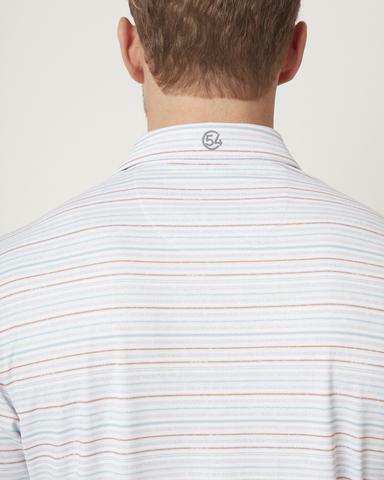 Really like the use of Chase54 logo on the back of the collar of the Deuce polo. The Trekker shorts are also made with Chase54's Dryfuze technology. 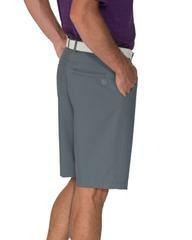 Keep you cool and stretch for a comfortable golfing experience. I would compare these to Galvin Green's high quality golf shorts. They will run you about $79 USD. Loved the Platinum grey colour pretty much goes with most polos I own. Although not a big fan of stripes Chase54 pulls it off with the Deuce Polo. The retro stripe pattern just works perfect with the Trekker shorts.